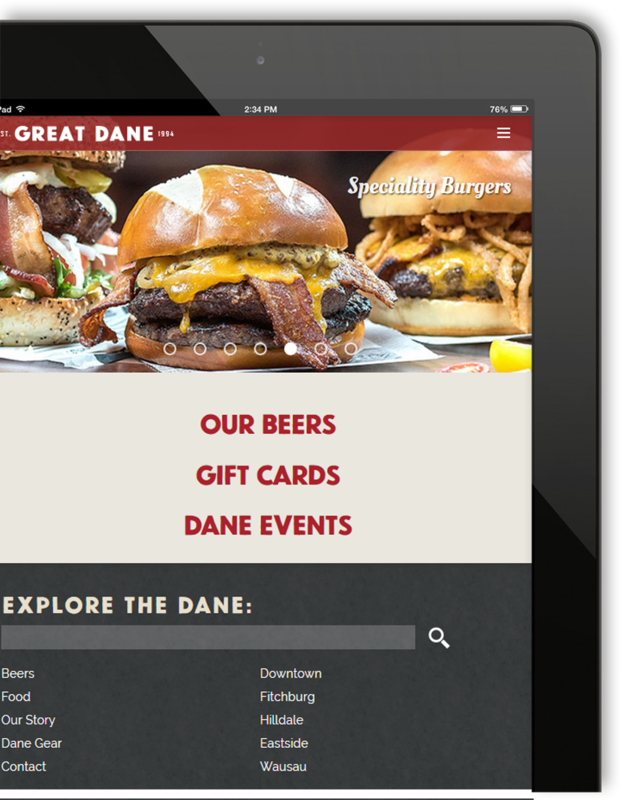 The Herkimer team is excited to share the latest installment of the The Great Dane Pub's website. 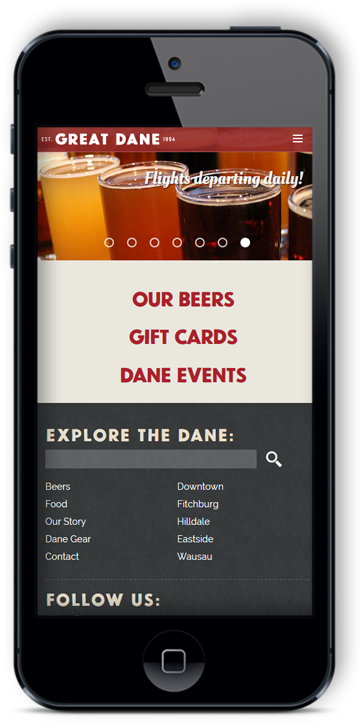 With a focus on mobile users and ease-of-navigation, it presents an amazing amount of information on their locations, beers, menus, and events. This marks the third site that we have built for them since 2006. I highly recommend the professionals at Herkimer Media for website design and maintenance. I have been working with Nathan and his team since 2011, when they worked with our store to design us a new website, and every interaction with them has been wonderful. 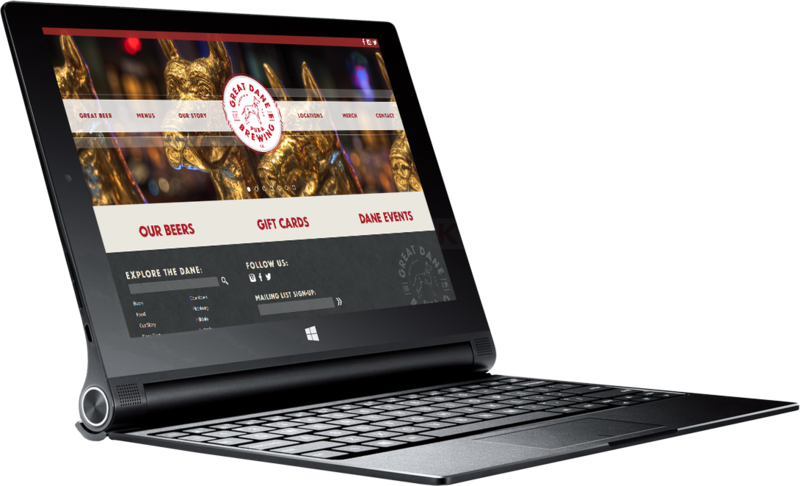 They are highly responsive, and they are able to quickly and masterfully adjust our website and its capabilities to our ever-changing needs. We have been extremely happy with the website Herkimer Media designed for us. It does everything we need it to do; more importantly, it does it all well. We are able to add and edit content easily, and if we have a question or need assistance, we can count on the folks at Herkimer to reply quickly.